Zoho Expense — a business expense tracking app that gives employees all the necessary tools for easy expense tracking, approval, and reimbursement. If business models are moving towards automation, why keep your expense tracking manual? According to a study by XRSP, organizations spend an average of 45 minutes per expense report when the process is manual. With an expense tracking app, businesses can reduce their expense processing costs by 60% (which saves about $7 per expense report), and shorten their expense reporting process to a few minutes. With streamlined expense tracking software and a handy expense tracking app for smartphones, Zoho Expense can do a lot for your business. Receipts sent for reimbursement no longer need to be manually entered as expenses. Employees can snap a picture of a receipt on their mobile devices, and import it as an expense entry to Zoho Expense. 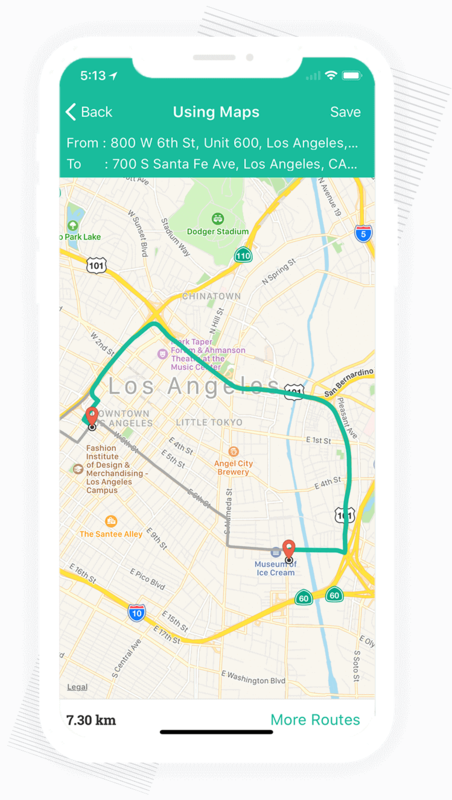 With Zoho's expense tracking app, you can use the GPS point-to-point mileage tracking feature to automatically generate mileage expenses after each journey, based on the vehicle's mileage rate. A smartphone with an internet connection is your new office. Report expenses from anywhere and in any currency. Expense policies bring forth better foreplanning. With smart expense tracking software, you can create expense policies, specify maximum reimbursement limits for each expense category, and track expenses that don't fall under your policy guidelines. Each expense report is unique and requires a specific approval flow. 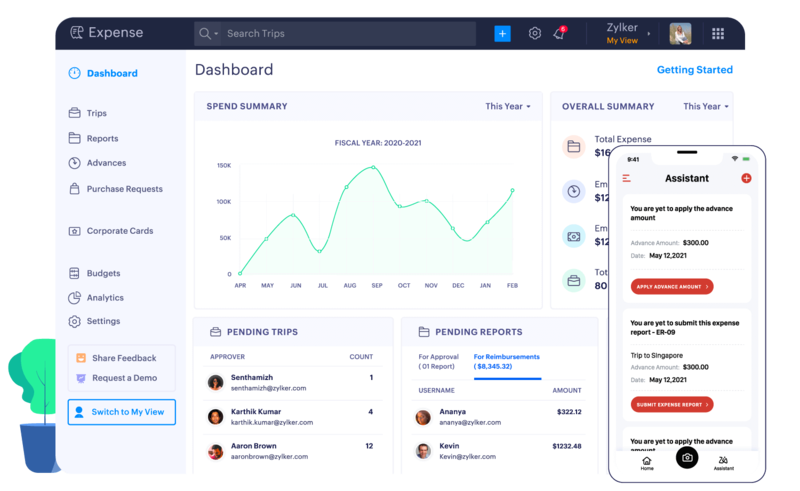 Zoho's expense tracking software allows you customize expense approvals based on criteria, so that expense reports are sent to the right approver, eliminating the need for manual tracking. Violated expense claims that don't fall under company guidelines requires effective communication for employees to justify their spending. Leave a comment right below the report in question within Zoho Expense, and follow-up on unclear expense claims with clear explanations. Good analysis leads to better expense tracking. With 25+ analytic reports, you'll be able to view detailed statistics of how much your company is spending, who is spending the most, and generate reports based on each expense category to optimize spending behaviour.